As Lewis discovered in his guide book, there are more than six thousand languages in the world! Lewis can’t ever imagine being able to speak them all fluently but he will have fun trying his best! 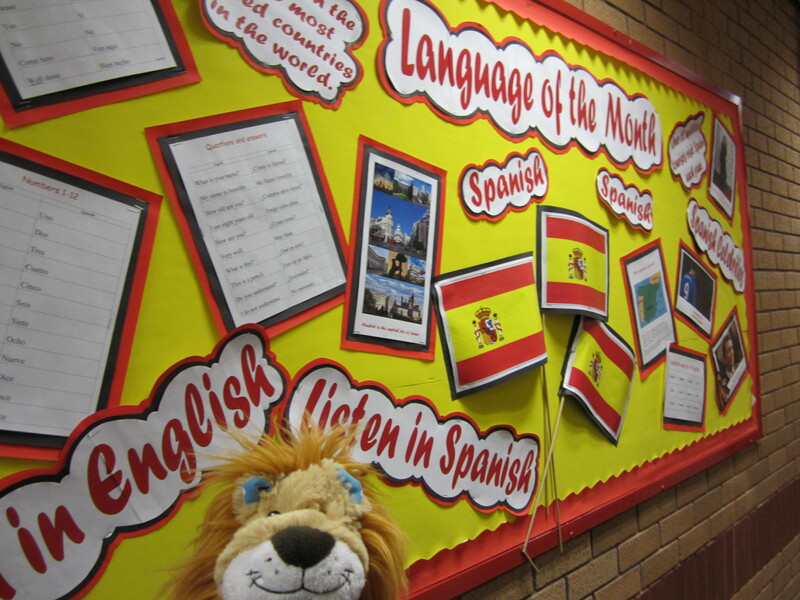 Lewis loves learning different languages because he realises that by speaking other languages he can get to know lots more people and find out about their culture or way of life. Here he is in school learning French and Spanish. Maybe you would like to join Lewis on his worldwide language challenge and help him to practise along his way? He has decided that he will try to record how to say these words and upload them on this blog to help him remember in the future. 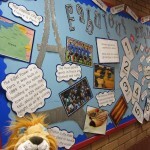 For Lewis knows that to learn a language well, you need to get lots and lots of practice! 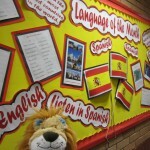 One website that Lewis is sure to use to help him was the website shared by the clever children at Newbury Park Primary School: Language of the Month. Click here to find out more. Can you speak another language? What helps you to remember new words and phrases? Along his journey, Lewis hopes to share some of his top-tips about how he tries to remember the new words that he is learning. Although he realises that we all learn things in different ways so he will try to present a range of ideas and maybe you will find some of them useful yourself for your language learning! 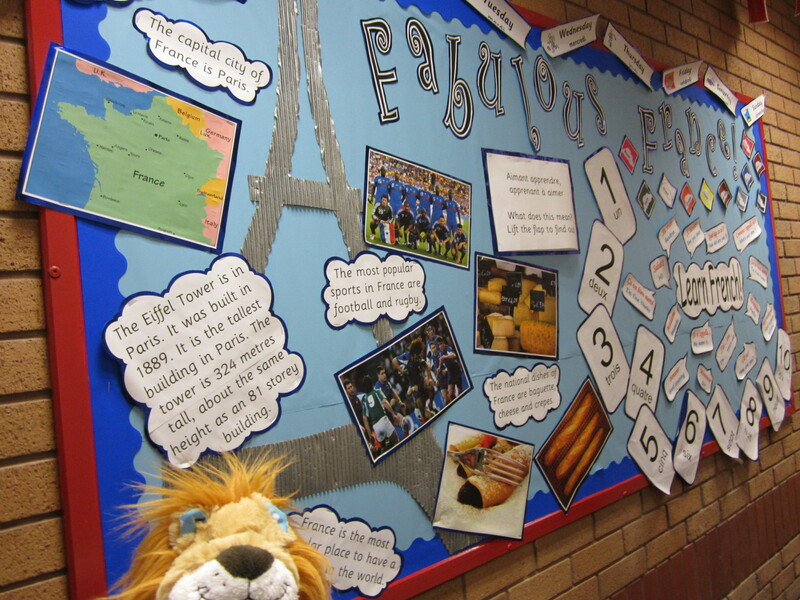 Lewis believes that this new learning might also help some of his friends in the UK when they are welcoming people from all over the world during the Olympic Games in the summer. Wouldn’t it be lovely if all his friends back in England were able to make all those visitors feel so welcome on their visit by greeting them in their own language? Maybe it could be called the Olympic Language Challenge?! Let Lewis the Lion know if you would like to have a go at this. I know how to say hello in Urdu, “Assalamu Alaykum” and in French, “Bonjour” and in Spanish, “Hola”. I just want to know how to count ot ten in the language called Greek. Can you see if you can find out how to count to ten in Greek for me please. Thank you. Wow! Lewis thinks you’re really clever. Thank you for teaching him how to say hello in so many languages. Hopefully this will help you to learn the numbers quickly and even some other Greek words. Lewis hopes you have fun learning these new words! no, i have never been to asia before but i wish i could go.xxxxxxxx beth and gemma. That’s a great question, Sophie and Lewis is not sure that he knows the answer as there is a different script in Greek. From his research he found out that you write ‘where’ in Greek like this:που However, he’s not sure how you pronounce it? Maybe you could some investigation of your own and help Lewis out?! Thank you.